This course is created shamgar and it is an introduction course to the basics Command Line and consists of 7 levels. If you are new to Linux or decided to finally sit down and master that scary beast( ) called CLI, I would highly recommend to do his course first. To be fair, I consider this course a warm up course to the more advanced and sometimes abstract Shell-Fu course. I know that the best way of learning CLI is buy actually using the Command Line, but I also believe having the basics ingrained in your brain will go a long way If you are studying for Linux Essentials or LPIC-1, I highly recommend to go through the Linux/UNIX Command Line course first. It will only take an hour or two to get through it, but you will benefit so much from finishing this small course first! There are two minor things that I would like see differently though, first of all this Ruby specific command “tail -f log/development.log” seems to be out of place in this course The second thing is I would have liked if there was a level or section where you can learn/practice things about “man” and “info“. Other then those two things, this is a great course and most definitely a must do for Linux beginners! 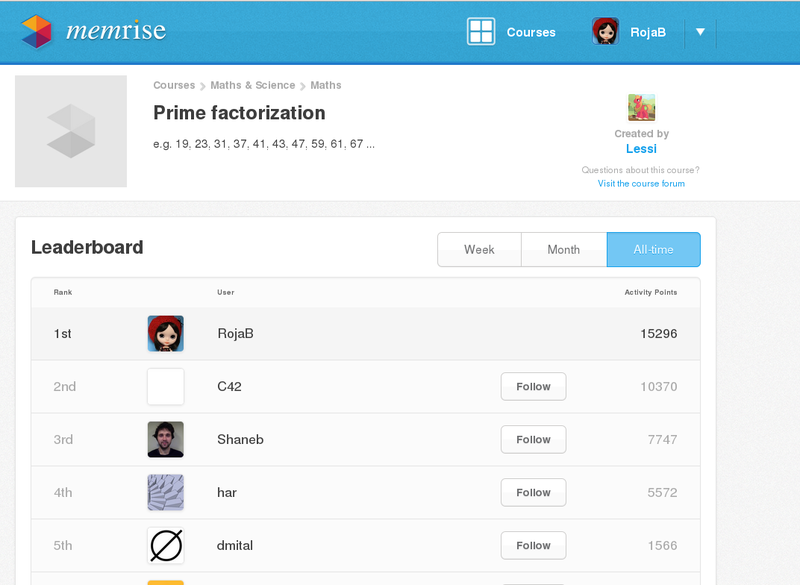 Categories: Memrise | Tags: Command Line, Free education | Permalink.